Remove the 2 turbocharger oil return pipe bolts (2). 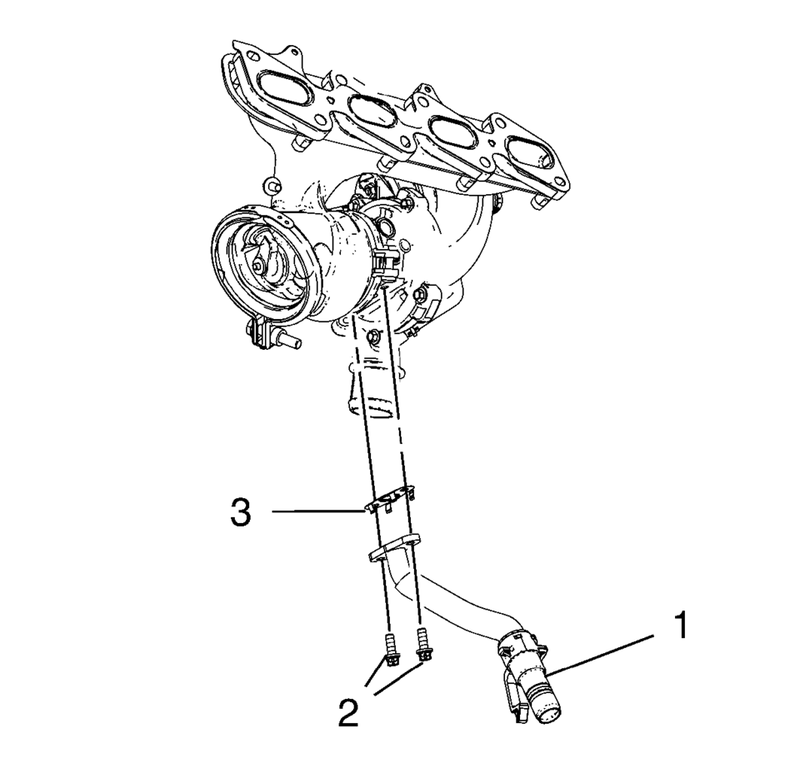 Remove the turbocharger oil return pipe (1) and the sealing (3) from the turbocharger. 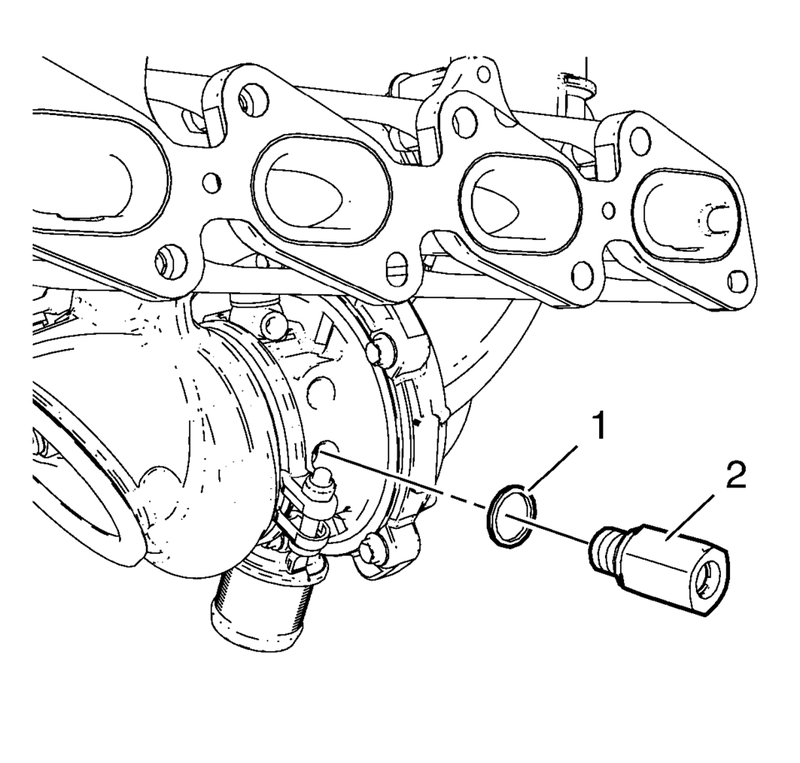 Install the EN-49940 remover (2) to the turbocharger coolant feed pipe (1) and the quick fitting connector as shown. 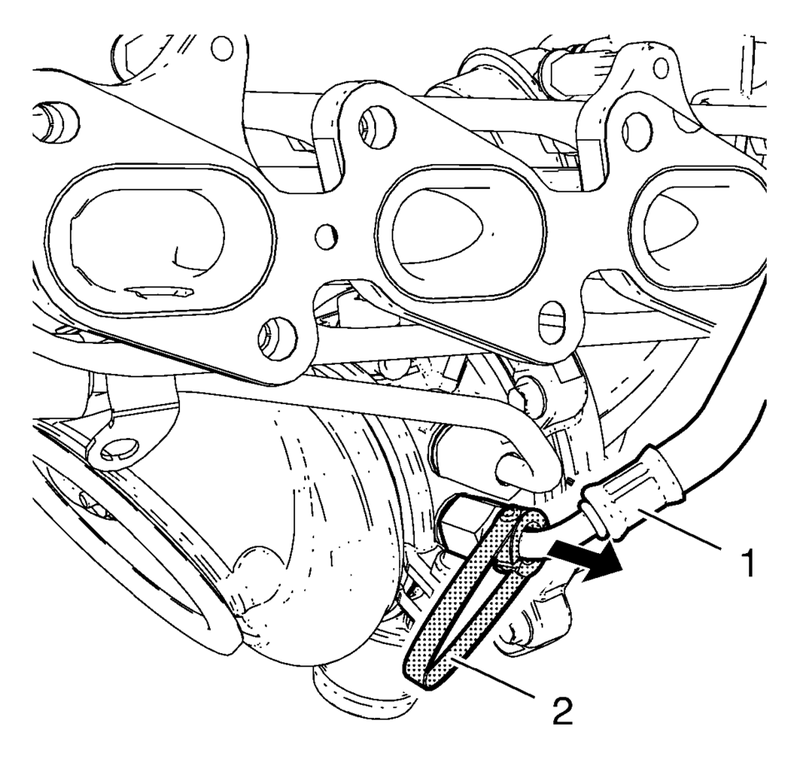 Compress the EN-49940 remover and remove the turbocharger coolant feed pipe direction of the arrow. Remove the quick fitting connector (2) and the seal ring (1).